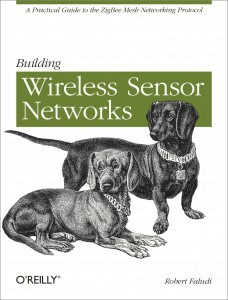 Ready to explore the glamourous world of wireless sensor networking? Create distributed sensor systems and intelligent interactive devices using the XBee radios with ZigBee wireless networking protocol. With this fast-paced, hands-on guide, you’ll have built a series of useful projects by the time you’re halfway through the book, including a complete ZigBee wireless network that delivers remotely sensed data. Radio networking is creating revolutions in volcano monitoring, performance art, clean energy, and consumer electronics. By following the examples in each chapter, you’ll learn how to tackle inspiring projects of your own. 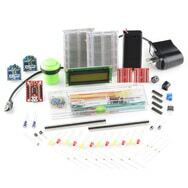 This resource- and reference-packed book is perfect for inventors, hackers, crafters, students, hobbyists, and scientists. Learn about power management, source routing and other XBee technical nuances. Robert Faludi is an NYU Professor, SVA professor, and an expert consultant on commercial projects, including large-scale home energy monitoring. His work has appeared in The New York Times, and on CNet, Good Morning America, and elsewhere. Robert is a co-creator of the LilyPad XBee wearable radios and Botanicalls, a system that allows thirsty plants to place phone calls for human help. Interesting. I’ll check on that with the Arduino team. Glad you enjoyed the book. One more chapter and the Rough Cuts will be complete. Phew! 11 Pings/Trackbacks for "Building Wireless Sensor Networks"